Disclosure: This post is sponsored by Canine Caviar and the BlogPaws Professional Pet Blogger Network. I am being compensated for helping spread the word about Canine Caviar, but Budget Earth only shares information we feel is relevant to our readers. Canine Caviar is not responsible for the content of this article. Looking for a grain-free dog food that is not only good for your dog, but is made in the USA and gluten free? Like many other dog owners, I only want the best for my dog. She is just like any other member of my family, so I want to make sure she has the best food possible to keep her healthy, happy, and living as long of a life as possible. After extensive research online, and speaking to our vet, we found that a grain-free dog food diet was best since it not only leaves her fur looking amazing, but we have fewer digestion issues as well. Recently, we discovered an all new, holistic Alkaline based dog food that looked perfect for our Reya – Canine Caviar. Looking for a high quality, grain-free dog food that is great for dogs, no matter their breed and age? If so, we think you will love Canine Caviar! They are the only alkaline based dog food in America that is designed to not only take care of your dog’s nutritional needs, but also formulated to be easily digestible. Among other things, this settles digestive upset, reduces itching, scratching, shedding, and even helps with hot spots. It also has its own proprietary blend including a fermentation culture that provides a potent probiotic once it is in your dog’s belly, making digestion even easier. 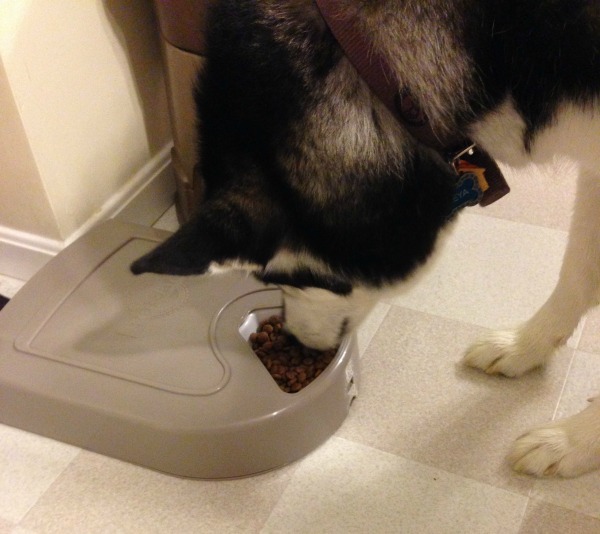 As well, with digestion being easier, your dog is better equipped to absorb and use the nutrition offered in the food. In other words, with the higher caloric content of this food, less goes in and out of your dog, making walkies easier on you! Since 1996, Feline and Canine Caviar has been proud to offer consumers the best made in USA products possible for dogs and cats alike that are not only high quality, but affordable too. With nutrition being their number one priority, you know that your dog is only getting the best in Canine Caviar! What does Reya think of Canine Caviar? So far, she absolutely loves this food! From the moment we opened the bag, she was intrigued with the smell of the food and couldn’t wait to get her muzzle in the bag to try it. I was a bit nervous starting this food cold turkey, but as the company stated, we had no issues with the food. We actually found that Reya was less gassy on this food and best of all, more energetic. Since Reya has never had issues with shedding outside of blowing coat twice a year, we can’t really say for certain if we had less shedding issues as they promise. Her coat, however, does have a beautiful shine and her teeth look amazing. As well, she loves their buffalo chews and treats, making snack and training time even more exciting for her! 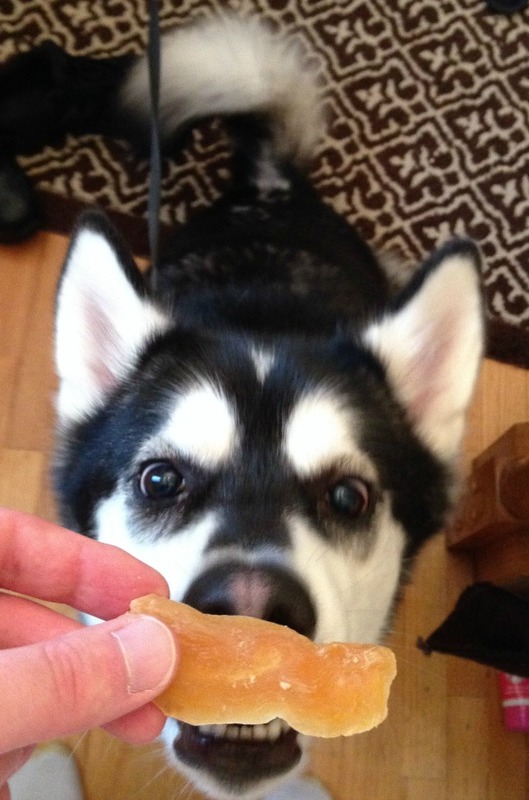 Based on our own experience, we very highly recommend Canine Caviar and can’t wait to try more of their food! Want to know where you can purchase this awesome food for your favorite dog? You can buy Canine Caviar’s holistic Alkaline based dog food at many well known reputable stores and online pet retailers. To see if a pet store near you sells this fantastic food, check out the Canine Caviar store locator! Don’t forget to Follow Canine Caviar on the Following Social Media Channels! Sounds like Reya loves the new food. So glad to hear that it agrees with her and is making her coat shine. Happy eating! I wish I knew about this product when my dog black coat retriever/labrador was here with me. He had a thick coat and itched alot and we tried everything possible to help him. Great information though to pass on. Thank you! I wonder if my dog would like the canine caviar. He is not that picky. Some of our dogs have had digestive upsets,itching, scratching, shedding, and hot spots. This helps all of these, I will give it a try. This actually sounds like a great alternative for us. Our 9 year old German Shepherd, Brok, has many allergies so we need the grain free, gluten free options! This sounds like a great product for dogs to eat, the last picture looks like a piece of chicken. I’ve had cats before that I’ve thought would benefit from a product like this. Wow, the products for dogs look great! I’m sure these treats are nutritious and perfect for dogs; but, I have two cats. My dogs are seniors and a grain-free diet sounds good for them actually. They need something easier to digest and this sounds perfect! My parent’s dog would love to try this type of dog food. Their dog has a hard time liking the dog foods they currently give her. This may be the answer to a happy dog-happy home! I had never heard of this brand. It sounds like it would work wonderfully for dogs with stomach issues. Just the name sounds divine. My girlfriend is very much into healthy food for her beautiful dog… I am going to send her this review. Thanks. I have 2 adult German Shepherds. I’m quite careful with the food we give them but I had never heard about Canine Caviar. I will certainly check it out! love that it meets nutritional needs, settles digestive upset, reduces itching, scratching, shedding. My dog, Blackie is mixed Corker & Lab and has lots of itching & shedding. TFS. this is really neat, and im kind of surprised theres not more foods like this for dogs. we know now the dangers of grains and gluten, and we should all treat our dogs like the family they are. Your dog is really cute! My kids want a dog but I don’t think I’m ready yet. This looks like something my dogs would love. I love that they are natural. I will be looking into the cat line of products since I do not own a dog. Toby would love this! He is a big fan of food 🙂 lol Well, this looks like amazing food! These sound like great treats. I know Sorcha would love them. Thank you for your review. My shih tzu is getting older and this is something that I have been looking into for her. If it’s better for her it could potentially prolong her life and I can’t imagine my life without her! I got her when I was 12 years old, she just turned 14!! I have three dogs, a shih tzu, a dalmatian, and a mini. shar pei. I’m going to have to try these out, I think my dogs would love these. I have never heard of this brand so I have never tried it. My dogs are so picky so I will try just about anything. This is a pretty good development for dog’s diets – do they have a line for cats as well? I hope so, I’m going to look as right now I have cats. Canine Cavier sounds wonderfully delicious and healthy. I’m going to recommend to a friend whose dog is prone to bladder infections. I do not own a dog. But this dog food looks to be very nutritious. I’ve never heard of alkaline based dog food. I think it’s good if it causes less upset stomach. I have three large dogs, so less potty trips sounds good to me. I love making my dogs happy with delicious, nutritious treats. I’m happy to learn about products that are healthy for dogs. We eat organic foods and gluten free foods whenever possible and I think our pets deserve the same treatment. Our dog is a mutt that someone put out in our yard when she was just a puppy. We’ve had her for four years and she is very smart and very strange at the same time! We spent a ton of money buying different brands of dog food–bagged, canned, kibbles, chunks, adult, puppy, etc., etc. The only brand she will eat is from the Dollar General. She literally went two days without eating because we tried to give her what we thought was a healthier name brand! We thought she was sick…she just didn’t like the food! How weird! Some dogs can be very picky! This food sounds really great. My dog, Cooper, is a picky eater with a sensitive stomach so this good sounds like a great option for him! I have a dog that is very picky with what he will and will not eat. This looks really promising, but I’m not sure if my dog will agree. I guess the only way to know is to try. Sounds like a good food. I appreciate the fact that it’s gluten free and works to settle their stomach. I’ve never heard of this. It sounds a bit odd but I suppose some dogs might like it. unfortunately I don’t have a dog but it seems cool to get it!!! THey don’t say dogs are mans best friend for nothing. Dog food should also be just as important!. Wow, interesting article! I’ll be passing the info along to my sister and her dog! This really only makes sense to feed our pets natural foods. Like humans, our bodies do better with less processed food that is more like what our ancestors ate, kind of like a paleo diet for dogs! Thanks for the info! If I had a dog I would go grain-free. I know there are too many unnecessary ingredients in pet food. This is great. I should try this for my dog. LOL – yep, that’s exactly how she is with those treats! One of my dogs has a terrible time with itching. This sounds like a great product to end his misery. Goodness knows I’ve tried everything else. I am going to look for this in my area. My older dog has dry itchy skin and I’m hoping this may help him. We have just recently started trying new “grainless” food for our two little guys. I love the name – Canine Caviar. So cute! It’s so important for our doggies to be healthy. I would love to try this for my picky eaters. It is hard to find healthy treats that my pups will actually eat. I have a Siberian Husky and he would love this food. If someone offers him a dog biscuit he wont even put it in his mouth. So glad to finally find a product like this. I am looking for it when I get to town next. I think this dog loves his new food!!! This looks like it would be good for all breeds!!! Reya is such a beautiful dog. We have a beagle and she sheds quite a bit so I may want to give this food a shot. How handy that they have a store locator. Oftentimes I hear about a product I would love to try, but can’t figure out where to get it. Most everything is available online, but one needs a credit card to order, which I do not have. Oh well. Wow, sounds great! My dog has a thick coat and is always itchy. It’s hard to find good quality products for dogs and this sounds like a good one! the product looks pretty interesting, dog food is not only food, in my opinion has to be healthy for them and at the same time delicious. Something that I have notice is that some dog food doesn’t even taste good and my dogs usually reject it but I think this food can benefit my dogs. My Border Collie would love this! I’m going to have to look for it at our pet stores! Thanks for the heads up! My dog is super pampered already so caviar would be perfect for her. It’s also good for her so we both win. Your dog is a discerning pooch! I love how she evaluated and observed this new food! A good digestive system is imperative for any animal so this sounds great. 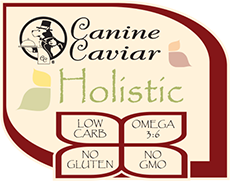 I love the fact that Canine Caviar is Low Carb and that the company has many years of experience behind it. I am always looking for new dog treats to try. My dog is a little 4 lb chihuahua and its hard to find stuff she can eat. I love that these are non-gmo. I think gmo causes a lot of health problems both in humans and animals. Our pets need natural, non-gmo food. This food line sounds so great! We feed Sparkie a gain-free dog food, but I don’t know which one. My fiance buys his food. This dog food looks really good, but there aren’t any stores within 100 miles from our house that carry it. This sounds like a wonderful treat for Shadow. I like that its healthy because Shadow has been in this family for a very long time, and we are trying hard to make her golden years pleasant. She apart of our family. 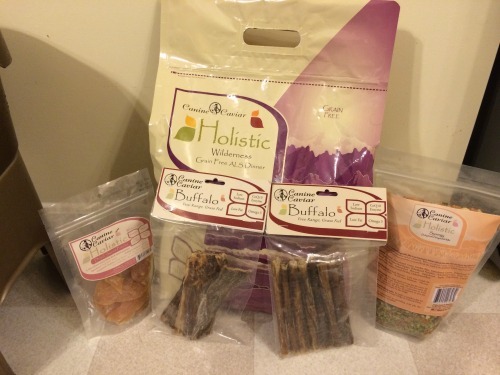 I love these healthier snacks and alternatives for our pets! I know our dog would love this! I like having options for healthy pet food. My dog would love to have new treats like these! my dogs shed so much I never realized that a grain allergy might be the source. Its very hard to find a grain free food mu pups likes & they are really expensive. I wish I could afford this for my dog. He has dry skin and alergies but we can only aford the cheapest food for him. I will have to keep this in mind, because we are hoping to get a dog soon. It sounds like a great product. Your dog is beautiful. It is now in my top 3 favorite foods of all time for dogs. We have worked with a lot of brands over the years and this has to be one of the most natural, organic mixes we have seen! I love the natural products! I know my dad’s lab shows much less interest if presented with treats with a lot of preservatives etc. Great review! I struggle with what to feed my dog. I eat only organic food, and feed my dog organic food for most of his life. Now that he is older he needs to have a better ph balanced food, as he gets bad urinary tract infections if we don’t give him the medicated food. I hate it though, wish there was something else that I could try. I wonder if this would work for urinary issues. From the literature they sent me with the food, I believe it was one of the things Canine Caviar was designed to help. I would ask your vet’s opinion first before switching your dog. While they say that any dog can start cold turkey, I’m always nervous to recommend that with older dogs, especially if they on medications or have health issues. Thanks so much for doing a review of this dog food! I’m always looking for better ways to take care of my Great Dane! I only have my cat on gluten free as well, what a huge different it made for him! Once he was changed over it gave his so my more energy!Great post, thanks! I have a 6 month old puppy she is the pickiest eater in the world I’ve tried soil many dif brands of food! I’ve never heard of canine caviar I really have to try it! I’ve thrown out or given away so much dog food since Ive had cocoa I’d love to finally find something she’ll love she seems to like eating my cats food better than dog food..when I first got her I went and bought a huge like 59 lb bag of food July I ended up givingn it to my mother who adopted our dogs brother he loves it she hasn’t had to buy food yet! Some dogs are super picky – my mother’s yorkie is one of the worst. So far, my top 3 favorite foods (not in any order) – Canine Caviar, Taste of the Wild, and Honest Kitchen’s dehydrated food. From what I have personally seen, the closer the ingredients are to table food, the more dogs seem to love it. Like us, they love real food. This looks great! I don’t have a dog, but we are considering one. I like to know all the latest things out there for pets. I would love this for my dog. Great review! I thought I fed my dog healthy food but after reading about this food I guess I wasn’t feeding him as well as I thought. Trying to find prices. You had me at made in the USA! I also love that canine cavier is alkaline free and made with all the right ingredients for a healthy diet for my pet! That last photo looks scarey. I don’t have a dog. I grew up in a house where my parents always had one. I’m more of a cat person. You do have a pretty dog. A husky? Sounds like a high quality dog food. Don’t dogs deserve the best? This is great! These treats sound like they are very healthy for our pets. There are so many dangerous treats out there it is hard to trust many of them. Looking forward to having my dog try these. First of all, Reya is absolutely beautiful! My favorite thing is that this food is made in the USA. That is so important. I do have a question — what is it that she is eating out of? Sounds like Reya loved this! Dog-tested and approved! We feed less expensive foods but I would love to be able to give something like this to my dog! I bet that a more natural food would probably help with weight management too. I’m all about feeding my doggie well…his food is middle of the line..can’t afford the extremely expensive stuff but his is definitely natural and without wheat, soy, and corn. I love to see more brands that care about the health of our fur babies. This sounds great for Sorcha, thank you for sharing your review with us.